The music of Tammy Wynette speaks to the ache and loneliness of relationships turned sour, a subject with which she was well-acquainted. 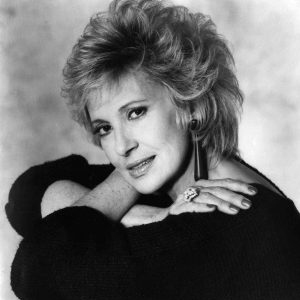 Wynette turned her painful life into a series of country hits, including her signature tune, "Stand by Your Man," "D-I-V-O-R-C-E," "I Don't Wanna Play House," and many others. She also released a string of hits with future ex-husband George Jones, whom she married in 1969 and divorced in 1975. The pair would continue to release music together throughout the early 1980s. We remember Wynette's life today as well as the lives of other notable people who died this day in history. Click to discover notable people who were born this day in history including country music legend Merle Haggard. 2017: Don Rickles, the king of insult comics dies at the age of 90. 2016: Merle Haggard, U.S. country music legend whose hit songs include "Okie From Muskogee," dies at 79. 2015: James Best, U.S. character actor whose many roles included Sheriff Roscoe P. Coltrane on "The Dukes of Hazzard," dies at 88. 2014: Mickey Rooney, U.S. actor whose notable films include "The Black Stallion" and "It's a Mad, Mad, Mad, Mad World," dies at 93. 2012: Thomas Kinkade, U.S. painter who was known for his realistic subjects and whose paintings are estimated to be in 5 percent of U.S. homes, dies at 54. 2010: Corin Redgrave, English actor who was a member of the Redgrave acting family and was known best for his stage work and the movies "Four Weddings and a Funeral" and "In the Name of the Father," dies at 70. 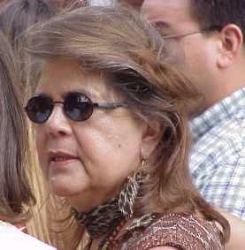 2010: Wilma Mankiller, Native American activist who was the first female chief of the Cherokee Nation, dies at 64. 2005: Prince Rainier III, ruler of Monaco for 56 years known for marrying American actress Grace Kelly, dies at 81. 2004: Niki Sulllivan, U.S. guitarist who was an original member of the Crickets, Buddy Holly's backing band, dies at 66. 2003: David Bloom, U.S. journalist who was a reporter for NBC News and the weekend anchor for NBC's "Today" show, dies of a pulmonary embolism at 39. 2001: Charles Pettigrew, U.S. singer known best as one-half of the duo Charles and Eddie that had a hit song, "Would I Lie to You," dies at 37. 1999: Red Norvo, U.S. jazz vibraphonist who was one of the pioneers of the instrument and was known as Mr. Swing, dies at 91. 1998: Tammy Wynette, U.S. country music singer who was one of the best-selling female country artists and a country music icon, dies at 55. 1998: Wendy O. Williams, U.S. singer known best as the lead singer for the punk band the Plasmatics, dies by suicide at 48. 1996: Greer Garson, English-born actress who was very popular in the 1940s and won an Oscar for her role in "Mrs. Miniver," dies at 91. 1992: Isaac Asimov, U.S. author known best for his science fiction stories and books on science, whose stories were turned into the movies "I, Robot" and "The Bicentennial Man," dies at 72. 1984: Ral Donner, U.S. rock 'n' roll singer in the 1950s and '60s who had a hit song with "You Don't Know What You've Got (Until You Lose It)," dies at 41. 1981: Bob Hite, U.S. musician known best as the lead singer of the band Canned Heat, dies at 38. 1971: Igor Stravinsky, Russian composer who is considered one of the most important composers of the 20th century, dies at 88. 1970: Maurice Stokes, U.S. NBA Hall of Fame player for the Cincinnati Royals whose career was tragically cut short when he was injured falling on his head during a game, dies 12 years later from that injury at 36. 1966: Julia Faye, U.S. actress who appeared in more Cecil B. DeMille movies than any other actress, dies at 73. Click to discover notable people who were born this day in history including "Hogan's Heroes" actor Ivan Dixon.